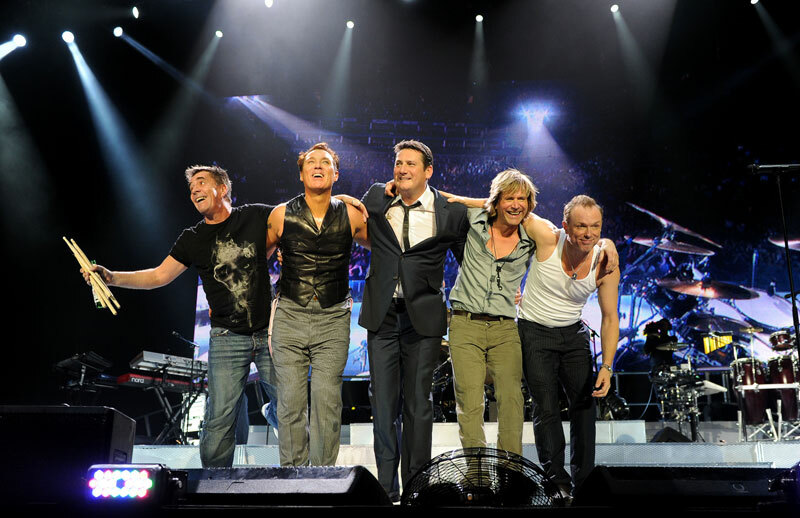 ITALY Magazine met British band Spandau Ballet at the 9th edition of the Rome Film Festival to discuss the positive reception of their new '80s documentary “Soul Boys of The Western World” and their 2015 tour in Italy. They received an overwhelming emotional response and standing ovation during Rome's screening. After all, the power of lead singer Tony Hadley's voice has always struck a chord with the Italians. In 2011, he even featured in "Goodbye Malinconia", a song by Italian rapper Caparezza. Nicola Ferlei-Brown caught up with the boys in Rome. Spandau Ballet were the "Soul Boys" who were listening to 'Marvin, all night long', and a welcome post punk era distraction to dance to, whilst Brixton burned. It was on the club scene at places like Blitz and London's Beetroot club where a new wave, a new romantic trend was evolving, influencing designers like Vivienne Westwood and her 1981 Pirate Collection. Spandau Ballet, regulars on the club scene, were wearing frilly shirts and sashes with swashbuckling style, fitting the mood of the moment. Their dashing looks, great ballads and theatrical appearance were sure to keep them noticed, and did. But by 1989 the band had split, in an acrimonious dispute that was to last 20 years. Almost 35 years later, the boys are back to dominate arenas again, with their 'Soul Boys of the Western World' tour and documentary, following the success of their 2009 comeback tour. Do you still feel the same buzz now, reforming and touring, as you did with your initial success? 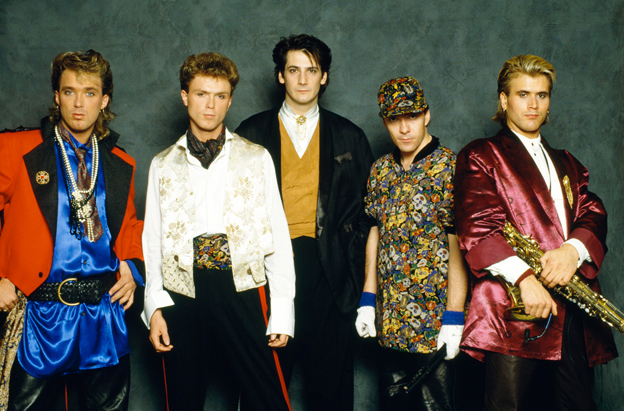 Can you all just slip back into Spandau Ballet mode naturally? Steve: That's what happens when we're together. All the old jokes come out. Gary: The music just clicks back in, it's a common language that we have. You can see in the documentary there is a scene with us back together for the first time. I think we're more relaxed with it now, we are more in control of what we are doing. Whereas before, you are only as important as your last hit, when you are at the forefront of pop music and now we have our legacy to be proud of, and we have the weight of the film to prove it. Tony: We all have our own individual style that we bring to the group. Whatever we play, whatever we do, it just sounds like Spandau, whatever kind of song it is. It's got a sound, an identity. Tony, you mentioned that times are different now with social media and You Tube, the way of marketing was different back then. Do you think that the discipline and hard work that bands had to go through back then made your bond stronger as a group? high on the list. I think it's that responsibility between us that we don't want to let anyone down. We wanted to earn it, the drive was there. The sense of being famous for being famous, and wanting to smash cars before you put in the work which has proliferated over the last 20 years didn't exist for us. Gary: We all have very similar family backgrounds, our dads were all hard workers, we are all from working class families. Tony: It's still today for bands, you still have to work hard. It's still the same, it's the way of advertising it is a bit different. Gary: There's not the same sense of 'movements' or tribes, like there were when we were coming through the ‘70s. It was much more tribal, there was glam, there was punk, and then there was us with the New Romantics. There are bands now, but there is not the same sense of youth culture crossover. This time round you are a lot wiser, has the time lost strengthened the bond between you? Steve: Although the band fell out we were always together in spirit. Tony: Well, there isn't an alternative, who knows what we might have produced as a band. Gary: I remember that moment when we got back together, 5 years as a band, there was such a feeling of relief. There is more generosity now between us, musically and in every way. Giving each other more room. We are all different people. I have had 4 kids now, so my whole life is different. The way I see life is different. Martin: We came as experienced adults, we had experienced life to the full, for good or bad, and now we bring our experiences to the table. As a band you have proved things can be overcome, wounds being healed and together you have more to offer as musicians. Were your kids any influence in the decision making to go back on tour? Are any of them musically minded? Tony: Finlay, Gary's eldest son, and Mackenzie, my youngest son, are good, good mates, and would have a drink together and think 'what is it between our dads'. Gary and I weren't even talking back then. Gary: They were trying to get us together. I think my son felt a bit sorry for me, as if Dad's hobby is finished. But when we got back together and played big arenas, they were gobsmacked. John: It's one thing seeing the archive footage from the ‘80s, but then when the lights went down at the O2 arena, that was an amazing moment for the children. Gary: It's tough for our children. My dad was a printer, taxi driver, terrazzo polisher. Whereas, our children have musicians as fathers. Steve: My son is in a band, and Gary's. My son's on Radio One. We'll be on Radio Two. It's great. Gary: My son, Finlay, has formed a musical duo with his girlfriend. John, you said you didn't like the way things originally ended with the band, that you wanted a better ending, so what do you plan and hope for Spandau Ballet in the future? Will you continue to make music together after this tour? John: Yeah, absolutely. We are loving it. The film marks the end of Spandau 1.0, and this is our time, and we are loving it. This isn't the end, it's only the beginning. Phase two next. We are defined by Spandau Ballet. We've got a bit of time to make up for lost time. Martin: It took us 20 years to get back together again, it would be nice to do our thing. It's what we do. You will be playing in 5 Italian cities in 2015, which are you most looking forward to playing in Italy? Gary: Oh, we can't possibly say. John: We've played all over Italy, we love Italy. They are some of our craziest fans. Tony: The audience reaction to our documentary “Soul Boys”, was emotional. Gary: There's an honesty, an emotion in Italy, that does not exist in the UK. I never really appreciated how much they love us in Italy. That year that we had “ThroughThe Barricades” out, it outsold “Born In the USA” and “Thriller” in this country. I think Tony's voice had a lot to do with it. There's a sensibility towards the vocals that the Italians get, and the melodic songs. John: They are much less guarded in Italy. Tony: The whole family have embraced us in Italy, the grandmother, the teenagers, the children. What is your favourite Roman monument or moment? Tony: Sabatini's [a restaurant, ed.] in Trastevere. Gary: Definitely, the two Sabatini brothers singing opera to us at the table, at Sabatini's in Trastevere. Martin: Rome is such a beautiful city. It's so amazing to drive around, and see the Roman Forum, way under your feet, there's ancient Rome. It's incredible, I love it here. Their new album, "The Story - The Very Best Of Spandau Ballet", is out now and no. 8 in the UK charts.